Edward S. Curtis, Andy Warhol, and Teddy Roosevelt? 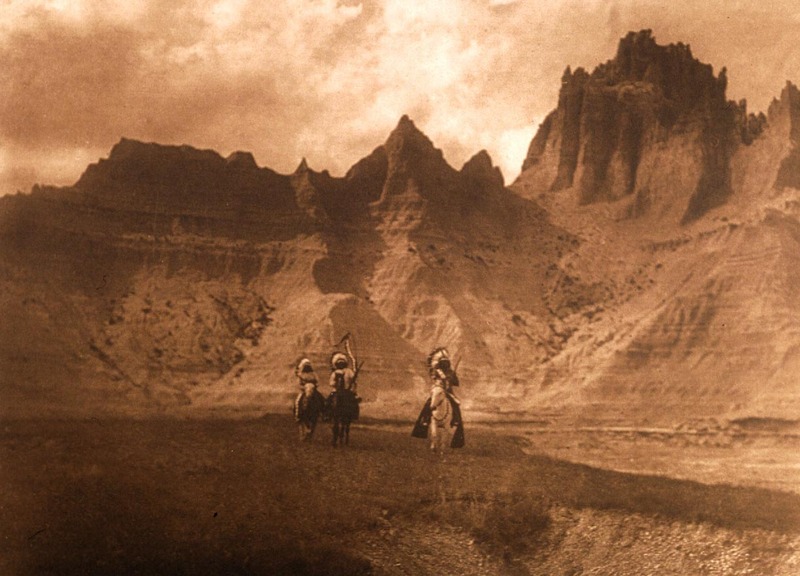 Edward S. Curtis and Andy Warhol are both artists with a connection to Theodore Roosevelt: Curtis for his friendship, and Warhol for his iconic “Old American West” imagery. Edward S. Curtis—his photographs of Native Americans, his portraits that honored Indian cultures— moved Theodore “Teddy” Roosevelt. Roosevelt and Edward S. Curtis shared a passion and a vision for preservation. Roosevelt became a champion of Edward S. Curtis and introduced Curtis to J.P. Morgan, who provided financial momentum for The North American Indian. The sepia photo-ethnographic journey of Edward S. Curtis looks very different from the screenprint Pop Art of Andy Warhol. Yet Teddy Roosevelt is a common thread of stimulus. 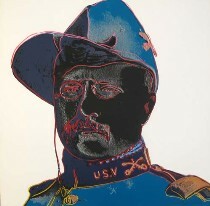 Warhol’s panel of Roosevelt is from the “Cowboys and Indians” collection. Roosevelt, however, may have had opposite impressions on Warhol and Curtis. In 1904, Edward S. Curtis knew Roosevelt as someone who believed in the value of preserving the cultural history of Native American Indians. The Rockwell Museum of Western Art in New York indicates the 1986 “Cowboys and Indians” collection that includes the Roosevelt screenprint was part of a series of collections that featured “history’s victims.” They indicate Warhol’s Roosevelt is less champion than aggressor. Conversely, the Palmer Museum of Art in Pennsylvania (Warhol’s native state) suggests the “Cowboys” of the collection “are not so much ‘cowboys’ as American heroes.” Their interpretation of the collection is one of stereotypes. Teddy Roosevelt—whether friend or foe—is an iconic historical figure that uniquely links two famous artists of the American West.